Does your face ever tell you that it’s in dire need of calming down? The weather, the beauty products, the dirt and grim of our daily lives can really take a toll on your face. A great way to calm down your face is with a face mask! Face masks in and of themselves are relaxing. They make us take a break for our busy lives and for just a few minutes take some time for pampering…. even if you multitask and continue doing chores while wearing a face mask you will still feel a bit calmer and your face will definitely appreciate it. Any face mask will do but this soothing lavender chamomile face mask works wonders for calming down your skin and relaxing your mind. Milk powder is amazing stuff. I don’t recommend it for consuming because it’s no longer in it’s proper form but when it comes to beauty products milk powder is amazing. You get all the benefits of milk but without the mess of liquid milk. Milk fats moisturize and nourish the skin while lactic acid smoothes and tones your skin. 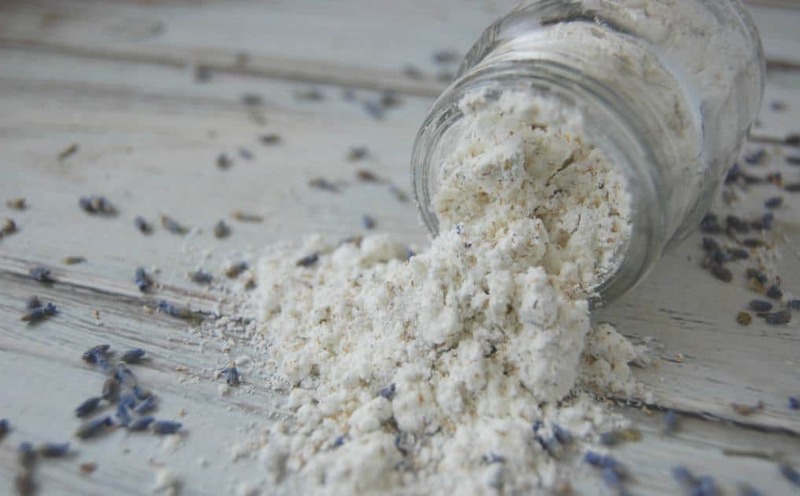 Milk powder is also shelf stable which means you can make this face mask in advance and just mix up a bit when you are ready for some pampering. In addition to moisturizing milk powder, this face mask also includes lavender and chamomile. Two herbs that are known for their calming and soothing properties. Place all ingredients minus honey into a blender or food processor. 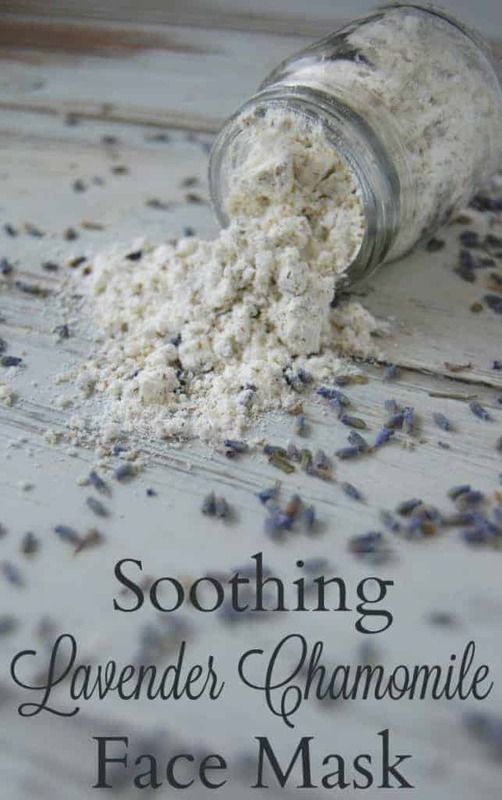 Blend until lavender and chamomile are finely chopped and mixed into the powder. Transfer to clean jar for storage. Mix equal parts face mask powder with honey. Leave on for 15-20 minutes before rinsing in warm water. I love that! I keep milk powder around for emergencies, but I never thought of using it on my face or body. It makes perfect sense, its natural, non toxic and easy to whip up any time that you want it. How long does it last if kept in a jar?